Tollywood Bengali film Dutta Vs Dutta movie story review casting director producer cast of Dutta Vs Dutta release date book buy tickets online Bengali Dutta Vs Dutta Anjan Dutta, Dutta Vs Dutta Anjan Dutta, Bengali movie review plot shooting location cinema halls showing Dutta Vs Dutta Kolkata Bengal show timings upcoming Bengali cinema Dutta Vs Dutta watch online details information. Studio Orion Production & Communications Pvt Ltd presents Dutta vs Dutta Bengali movie directed by Anjan Dutta based on his childhood life. Another renowned film-maker Srijit has also done a small role in Anjan Dutta's upcoming Bengali cinema Dutta vs Dutta movie. • Dutta Vs Dutta Bengali movie Director Name: - Anjan Dutt. • Dutta Vs Dutta Bengali movie Music Director Name: - Neel Dutta has composed total of five songs of Dutta vs Dutta Bengali film and the song titles as follows - 'Bhalobeshe Sakhi', 'Somewhere', 'Tobu jodi', 'Uthogo Bharatalakkhi', 'Dutta Vs Dutta Theme'. 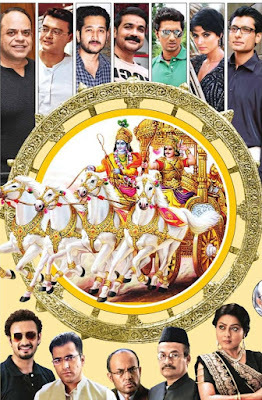 • Dutta Vs Dutta Bengali film Casts Actors Actresses: - Anjan Dutta [as Biren Dutta], Dipankar Dey [as Father], Ranadip Bose [as Rono], Rupa Ganguly [as Runu], Parno Mitra, Saswata Chottopadhyay, Arpita Chottopadhyay, Subhashis Mukhopadhyay, Srijit Mukherjee & many others. • Dutta Vs Dutta Bengali movie Release Date: - 23rd November 2012. • Dutta Vs Dutta Bengali movie Story Review: - Director Anjan Dutta portrayed Calcutta of 1970's with the Naxatile period and emergence of western culture centred around Park Street of Kolkata. On the other hand, Dutta vs Dutta Bengali movie story is based on a Boy's Battle with his Father to reach his dream & passion. Situations like Naxal Movement, Pub & Bar culture of Park Street etc. have been highlighted in Dutta vs. Dutta Bengali movie. • Shooting Location Spot of Dutta Vs Dutta Bengali Cinema: - Most of Dutta vs Dutta Bengali film shooting has been done in a house located at Amherst Street, Kolkata. Shooting has also been done at College Street, Park Street & few other locations. • Cinema Halls showing Dutta Vs Dutta Bengali movie: - These are the few Cinema Hall names of Kolkata & Bengal showing Dutta vs Dutta on & from 23rd November 2012 – Priya, Prachi, Darpana, Basusri, Ajanta, Ashoka (Behala), Jaya (Lake Town / Barasat), Inox (Forum, City Centre, Swabhumi, Rajarhat, Liluah, Burdwan, Siliguri-1 & 2), FAME (South City, Hiland Park), CineMax (Mani Square), Bioscope (Axis Mall Rajarhat, Junction Mall Durgapur), PVR Avani Mall Howrah, Jayanti (Barrackpore), Sanskriti Metro (Burdwan), Gitanjali (Bolpur) and many others. 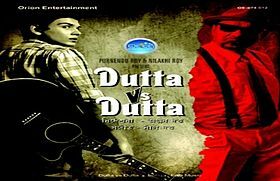 New Bengali movie / Tollywood film Dutta Vs Dutta of Anjan Dutta seems to be worth watching in Cinema Hall; so start buy tickets online of Dutta Vs Dutta from www.bookmyshow.com website. Anjan Dutta – the name itself means a lot in Bengali Film Industry. Bengali Film-maker Actor, Singer & Music Director Anjan Dutta concentrated on serious Indian Films and bring a new dimension to Bangla Cinema and Bangla Music. Anjan Dutta joined Badal Sarkar’s Theatre Group during his university days and after few years in Theatre; finally Anjan Dutta made his film debut in Chalachitro Bengali Film of Mrinal Sen. Anjan Dutta’s acting career in Bengali films was at stake at that time and he had to even work as journalist at that time in a famous English daily news paper. Anjan Dutta stepped into the Bengali Music arena in 1990s with a perfect blend of Western and Indian Folk Songs. Anjan Dutta himself writes the songs and composed the music and all the songs of Anjan Dutta are related to real life activities with proper social meanings. • Birthday of Anjan Dutta: - 19th January, 1953. • Educational Background of Anjan Dutta: Anjan Dutta has completed his schooling from St. Paul’s School, Darjeeling and MA in English from Calcutta University. • Anjan Dutta family details: The Son name of Anjan Dutta is Neel Dutta, who is also a well-known music director. Anjan Dutta Bengali Films in 2011: Ranjana Ami Ar Asbona. Anjan Dutta Bengali Films in 2010: Mahanagar @ Kolkata. Anjan Dutta Bengali Films in 2009: Madly Bengalee. Anjan Dutta Bengali Films in 2002: Mr. and Mrs. Iyer, directed by Aparna Sen.
Anjan Dutta Bengali Films in 2001: Dekha. Anjan Dutta Bengali Films in 1995: Yugant. Anjan Dutta Bengali Films in 1994: Antareen. Anjan Dutta Bengali Films in 1993: Shilpi, Sunya Theke Suru. Anjan Dutta Bengali Films in 1992: City of Joy, Mahaprithivi. Anjan Dutta Bengali Films in 1991: City of Hope. Anjan Dutta Bengali Films in 1989: Ek Din achanak. Anjan Dutta Bengali Films in 1988: Nuit Bengali. Anjan Dutta Bengali Films in 1982: Grihajuddha, Kharij. 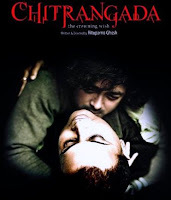 Anjan Dutta Bengali Films in 1981: Chaalchitra. Anjan Dutta Bengali directed Films in 2011: Ranjana Ami Ar Asbona. Anjan Dutta Bengali directed Films in 2009: Madly Bengalee. Anjan Dutta Bengali directed Films in 2009: Chowrasta. Anjan Dutta Bengali directed Films in 2008: Chalo Let’s Go. Anjan Dutta Bengali directed Films in 2007: Bow Barracks Forever (English), The Bong Connection (English). Anjan Dutta Bengali directed Films in 1997: Bada Din (Hindi). Anjan Dutta Music Albums in 1994 – Shunte Ki Chao. Anjan Dutta Music Albums in 1995 – Purono Guitar. Anjan Dutta Music Albums in 1996 – Bhalobashi Tomay. Anjan Dutta Music Albums in 1997 – Keu Gaan Gaye. Anjan Dutta Music Albums in 1998 – Maa, Chalo Bodlai, Priyo Bandhu. Anjan Dutta Music Albums in 1999 – Hello Bangladesh, Kolkata-16. Anjan Dutta Music Albums in 2000 – Bandra Blues, Asamoy. Anjan Dutta Music Albums in 2001 – Rawng Pencil. Anjan Dutta Music Albums in 2004 – Onekdin Por. Anjan Dutta Music Albums in 2005 – Ichchhe Korei Eksathe. Anjan Dutta Music Albums in 2007 – Abar Pothey Dekha, Ami ar Godot. Search Tags: Anjan Dutta Biography Biodata Profile, Music Director Singer Anjan Dutta Songs Albums, Family Father Mother Son of Anjan Dutta, Education Qualification of Anjan Dutta, Profession Occupation Film Acting Career Anjan Dutta Bengali Movie Director, Anjan Dutta Contact details, Ranjana Ami Ar Asbona Anjan Dutta films songs, Anjan Dutta Personal Professional Educational Life. How could we forget Bengali movie songs of ‘Bong Connection’ and ‘Ranjana Ami Ar Asbona’? One have to be brave enough to do experiments with Bengali Rabindra Sangeet and talented music director Neel Dutta has successfully done that. Musician Neel Dutta, Son of legendary Anjan Dutta, has produced many hit songs in Bengali Film Industry within a short span of time. • Early Life of Anjan Dutta’s son Neel Dutta: Talented music director Neel Dutta has brought in a musical environment, behind the shadow of ‘Open Theatre’, a theater group of Neel Dutta’s father Anjan Dutta and his mother. Neel Dutta’s mother first encouraged him to play Guitar when he was in sixth standard. Later Neel Dutta learnt guitar from Carlton Kito, professional guitarist. Neel Dutta started playing guitar professionally since class eight and in class eleven he jingle. Guitarist Neel Dutta started his music directing career when he was in Ashutosh College by composing in various Tele-Films for Bengali Television Channels. • Educational Background of Music Director Neel Dutta: Musician Neel Dutta, son of Anjan Dutta, completed his Graduation from Ashutosh College, Kolkata and completed MA in English from Calcutta University. • Music Director Neel Dutta upcoming projects: After the huge success in Bengali Cinema ‘Bong Connection’ and ‘Ranjana Ami Ar Asbona’, music director Neel Dutta is now working on these upcoming projects - A Bengali film of Bisra Dasgupta, Mainak Bhowmik directed two Bengali films, second music album of Neel Dutta’s Bangla Band Friend of Fusion and directing music in Sananda TV Serial Olpo Olpo Premer Golpo. • Personal Life & Likings of Music Director Neel Dutta: Musician Neel Dutta would love to have someone as a life partner who should have good Sense of Humor, Sense of Space and intelligent with good responsibility sense. But, female fans don’t get excited, because Ranjana Ami Ar Asbona film’s Music Director Neel Dutta already has his girl-friend and waiting to get married soon. Eno Moricon, Nino Rota, John Williams and Pandit Ravishankar are the favorite music directors of Bengal’s talented musician Neel Dutta. Search Tags: Biography Profile Wiki Neel Dutta, Musician Singer Music Composer Neel Dutta Family Father Anjan Dutta Mother Wife Children, Education Occupation Phone number Contact Address Neel Dutta, Musician Bong Connection Ranjana Ami Ar Asbona Music Director Neel Dutta Personal Educational Life details, Professional Life Neel Dutta Works Political Career Achievements, Neel Dutta Bengali Band Friend of Fusion Albums, upcoming projects of Neel Dutta. The upcoming Bengali Movie Ranjana Ami Ar Asbo Na directed by Anjan Dutta is already started to its place on the viewers mind by it's melodious Bengali songs. • Director name of Ranjana Ami aar Asbo Na Bangla Cinema: Anjan Dutt. • Producer name of Ranjana Ami aar Asbo Na Bangla Cinema: R Sarkar. • Music Director name of Ranjana Ami aar Asbo Na Bangla Cinema: Neel Dutt. • Cast / Actor / Actresses name of Ranjana Ami aar Asbo Na Bangla Cinema: Anjan Dutt, Parno Mittra, Amyt Datta, Lew Hilt, Nondon Bagchi, Kanchan Mullick, Ushasie Chakraborty, Abir Chatterjee, Deborshi Barat, Kausik Ghosh, Suman Dey, Kabir Suman, Mamata Shankar. 1. Raasta by Anjan Dutt. 2. Andhakarer Pare by Somlata. 3. 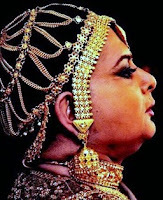 Ranjana by Anjan Dutt. 4. Gaanola by Kabir Suman. 5. Ekla Anek Door by Somlata. 6. Brishti by Anjan Dutt & Somlata. 7. Chalo Jai by Somlata. 8. Sabai by Anjan Dutt. 9. Jagorane Jay Bibhabori by Kabir Suman, Anjan Dutt and Somlata. Click to download Ranjana Ami Ar Asbo Na Songs and Videos for free. Ranjana Ami Aar Asbo Na New Bengali Cinema Video Promo Watch Online. We all are waiting for the Release Date of Ranjana Ami Ar Asbo Na Bengali film of Anjan Dutta so that we can watch it.